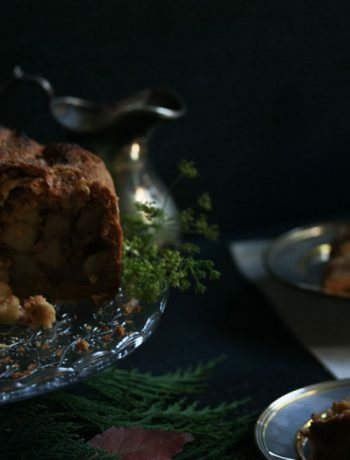 Sugar and spice and all things nice was what I had in mind when I created this recipe. It has all my favourite things about a cookie. 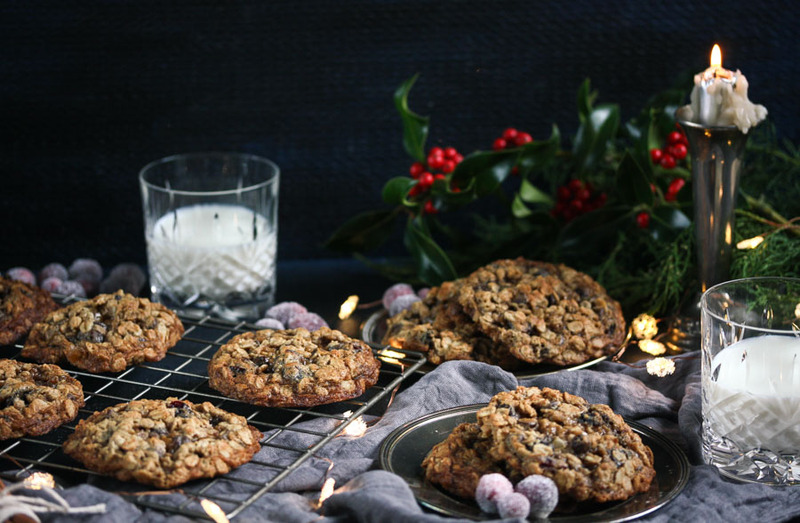 Oats, chocolate chips, dried cranberries, warming spices, chewy centres and crispy edges. 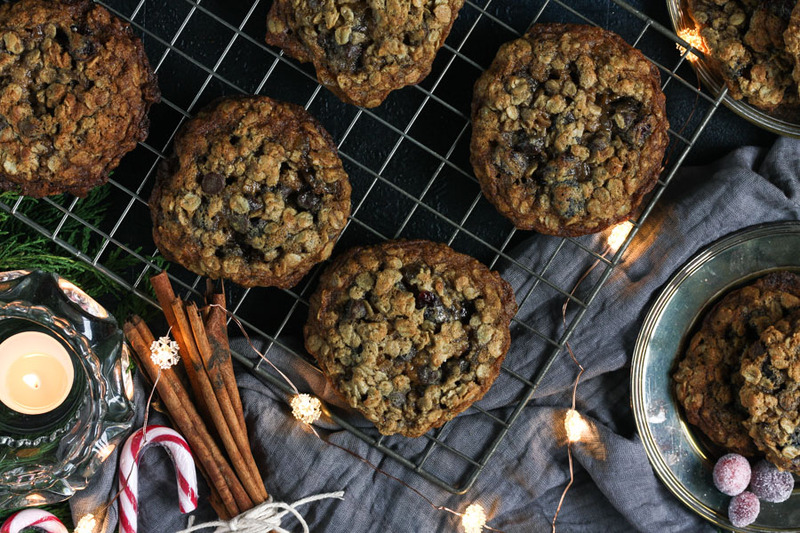 These smell just like Christmas while they’re baking and are the perfect midnight treat with a glass of ice cold milk. I know that cookie texture is a hotly debated subject. Are you on the thin and crispy or thick and chewy side? 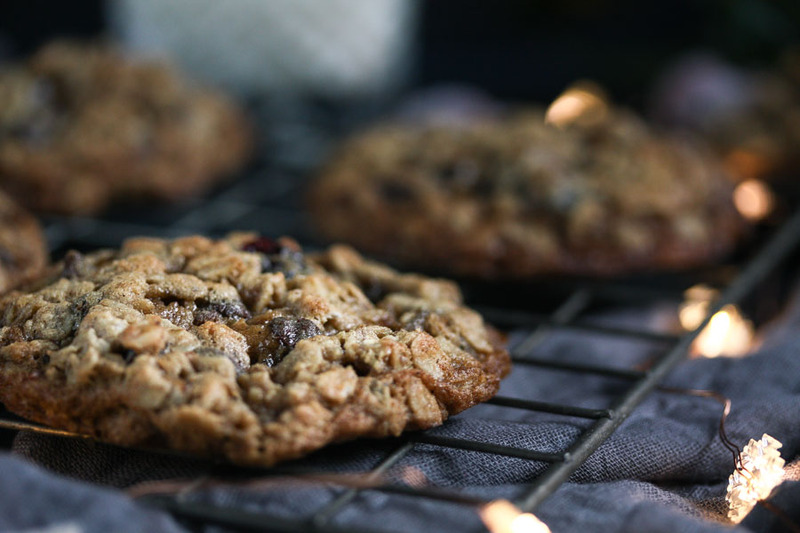 Personally, I lean more towards thick and chewy, but the great thing with oatmeal cookies is you can get the crispy edge and the thick middle. Mmmm. I absolutely love the combo of dark chocolate and candied ginger. 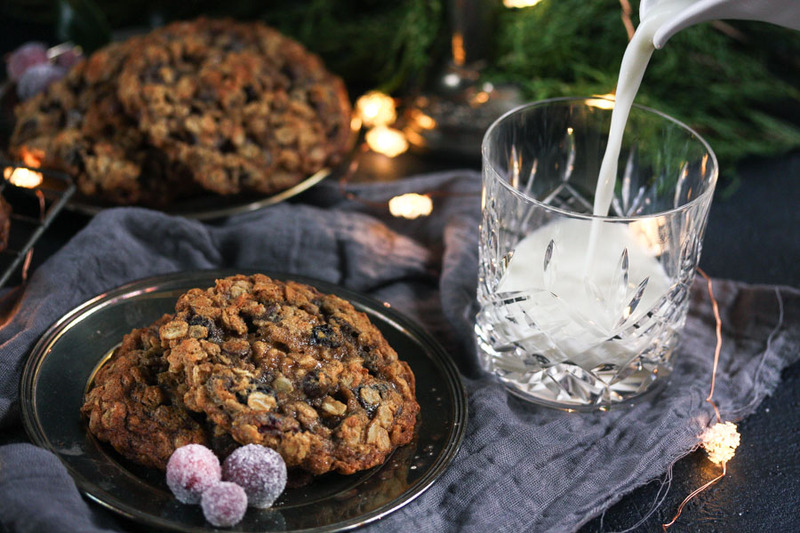 Add a few Christmas spices on top of that and you’ve got me thinking this cookie might be best paired with a glass of Malbec, hold the milk! 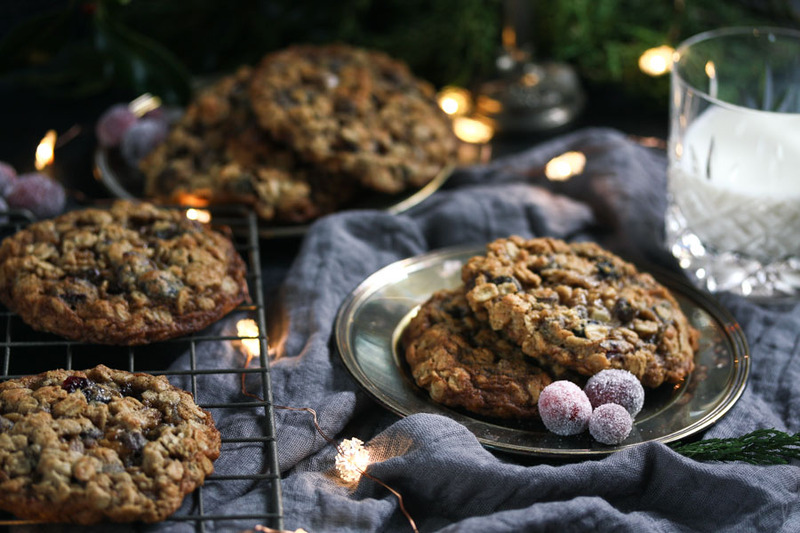 Cranberries are my favourite fruity item to include in a cookie because they have that oh so refreshing tartness that cuts through the sweet cookie and balances it out perfectly. Man, this is starting to sound like a paper on cookie science. Enough! 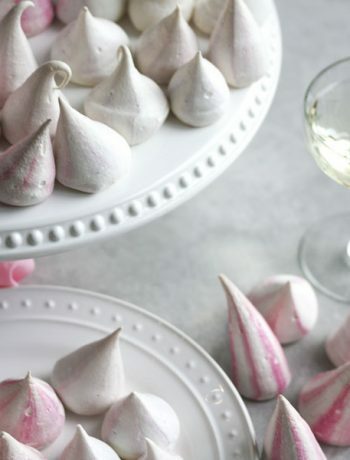 Make a batch and enjoy them with your preferred beverage. I won’t judge you if it’s wine! 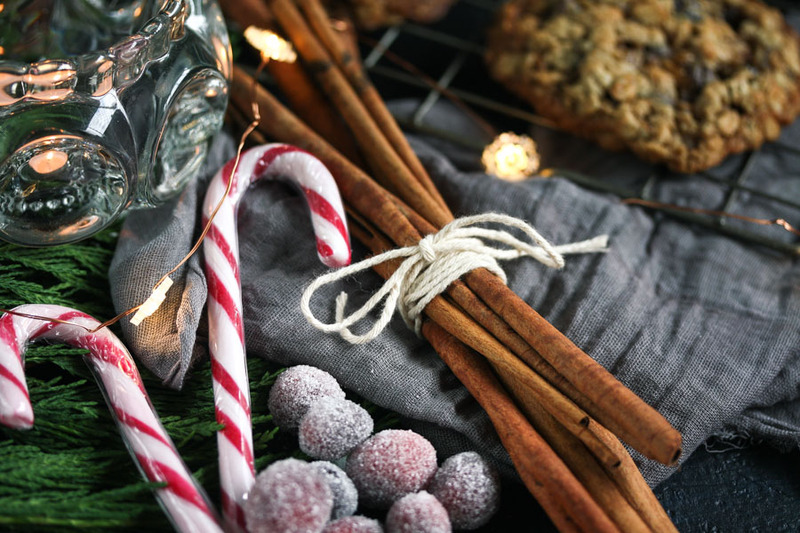 I’d love to know what Christmas baking traditions you all have in your family/country. Here in England, mince pies are a must! And don’t worry, I don’t mean that they are filled with ground meat! Mince meat is a festive traditional sweet, made from dried fruits, suet, spices and a nip of brandy if you’re feeling naughty! Hit me up in the comments with your festive traditions, I’d love to know! I’m already struggling to decide what colour theme I want to decorate the tree, and whether I want to go real or artificial. I love the smell of real trees but I’m really pedantic about the symmetry, so sometimes an artificial one is the best route. Fear not, however. I have already decided on my gift-wrapping colour scheme, and purchased…one or two rolls of wrapping paper. Since then, I have however decided that as a family we should cut down on gift buying this year, and instead donate to charity to help those for whom Christmas is just another day. If you have any experience with this kind of thing and have any charity recommendations, I would really love to hear from you. Begin by preheating the oven to 325f convection or 350f regular. 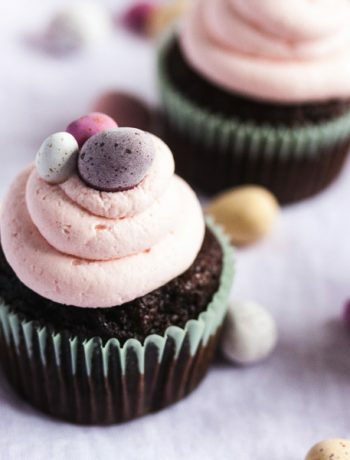 Using an electric whisk, beat together the sugars and butter until light and fluffy. Add the egg, ginger and vanilla. Beat again. In a separate bowl, sift the flour, baking powder, baking soda, salt and spices and stir to combine. Tip this into the wet ingredients and beat again to combine. Stir in the oats, chocolate chips and cranberries. 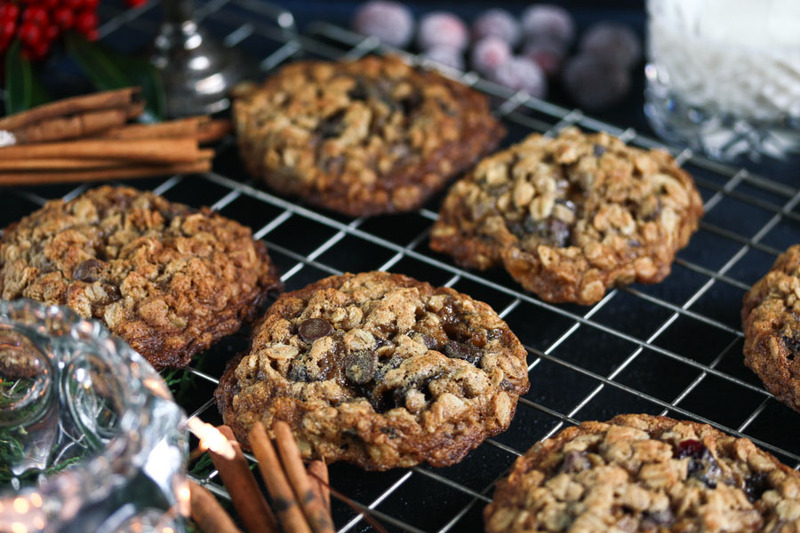 Using an ice cream or cookie scoop, portion the cookies out onto parchment lined baking sheets. Bake for 8-12 minutes, rotating the sheets halfway through. When done, the cookies should have spread out and turned a lovely golden brown. Leave to cool and solidify. Serve with milk, of course!